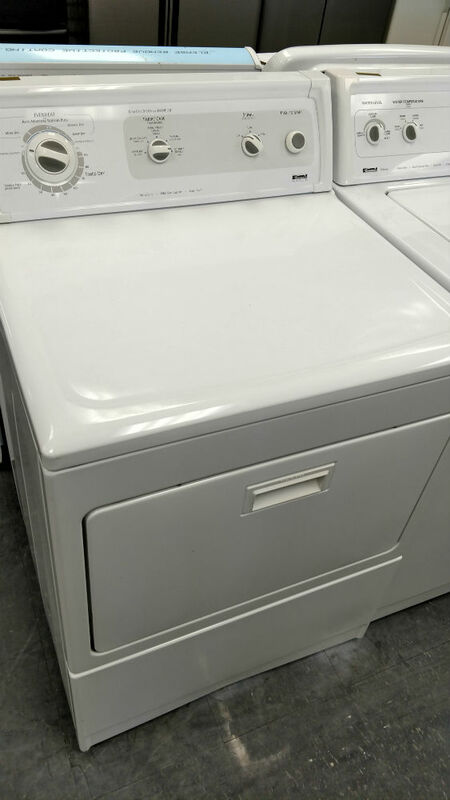 PG Used Appliances has a wide selection of used washers and dryers. 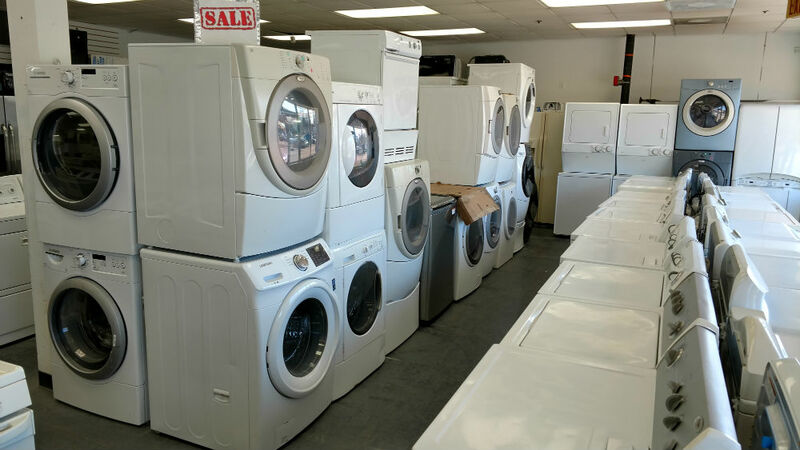 We feel we are the best used appliance store in the greater Washington DC metropolitan area, serving Prince Georges County, Washington DC and the Annapolis MD area. We are convenient to all three areas and we feel we are very competitive when it comes to price. ​For details on Washer & Dryer Financing, click here. We usually have whatever top brands you want. 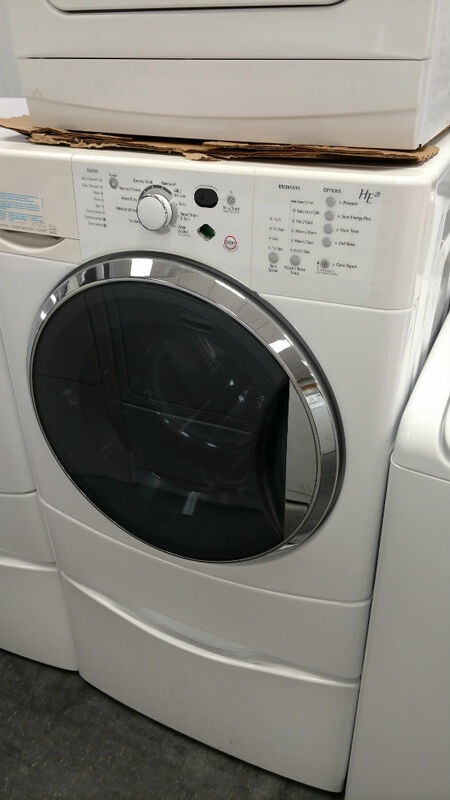 You can also find the washers and dryers in different colors. 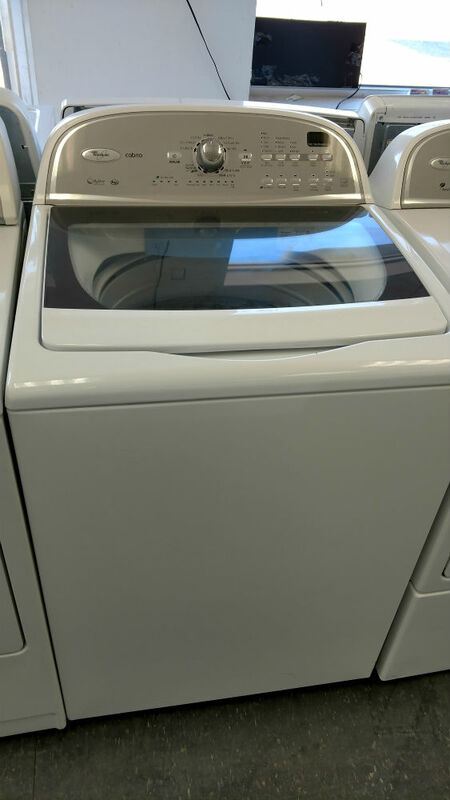 Washing machines and dryers come in regular as well as high efficiency models. 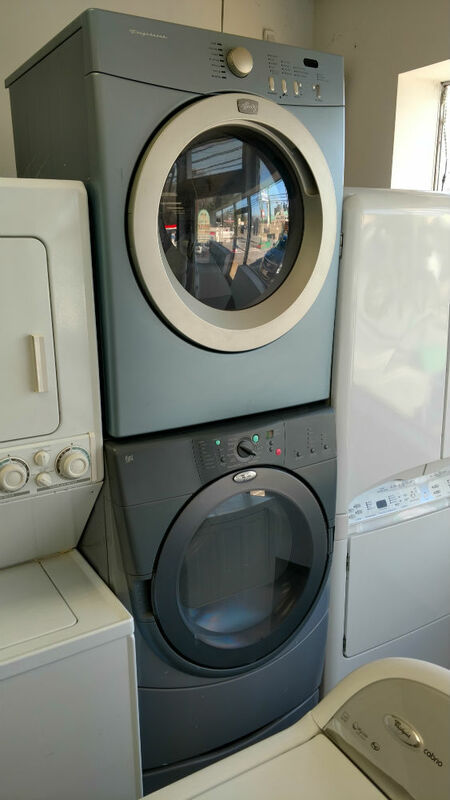 We have both high efficiency and regular dryers and washers. Size – As they say, size matters. If you have a small space, a large washer or dryer just won’t work. For that reason, we have smaller models and also stackable washers and dryers. On the other hand, you may have a large family and be doing loads of laundry all the time. In that case, one of the larger models you be the right choice for you. We have even had people bring in large items to see if they would fit. 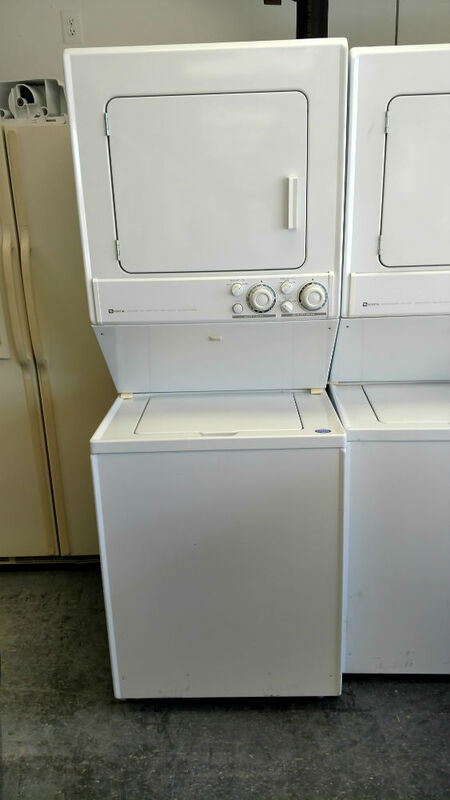 Front Loading – Usually these washers have a larger capacity compared to the same size top load washer. They generally use less energy and take less time and need less water as well as detergent. For these reasons, many people prefer them. Top Loading – Generally these are less expensive than front loading models. As with the front loading these have both standard and high efficiency. You might like them better because you don’t have to lean over as much to load and unload them. Frequently, the wash cycles are shorter. It is also less likely to have a musty odor because they drain better. Electric and Gas – There are two drying sources for dryers, electricity and gas. Electricity is the more common and for that reason, that is mostly what we have. However, we do get gas dryers in, just not all the time, so call us to make sure we have some in stock. We can always take your name and let you know when one comes in if we don’t have one at the moment. Front Loading – Compared to washers, this is more personal preference since there isn’t much difference in performance between the two. You lean over a bit more but have the top of the dryer free to put things. Top Loading – A lot of people like the top loading model because of ease of loading and unloading. However, you can’t store things on top. These are great if you only have a small space for a washer dryer. One stacks on top of the other and can fit in small spaces. We have a selection of them for you. We are located in Prince Georges County on Lanham Severn Road. We are near Washington DC and Annapolis, MD and can deliver to either. Of course, since we are in Prince Georges county, we are very convenient to residents. To get directions, go to the Contact/Location page. 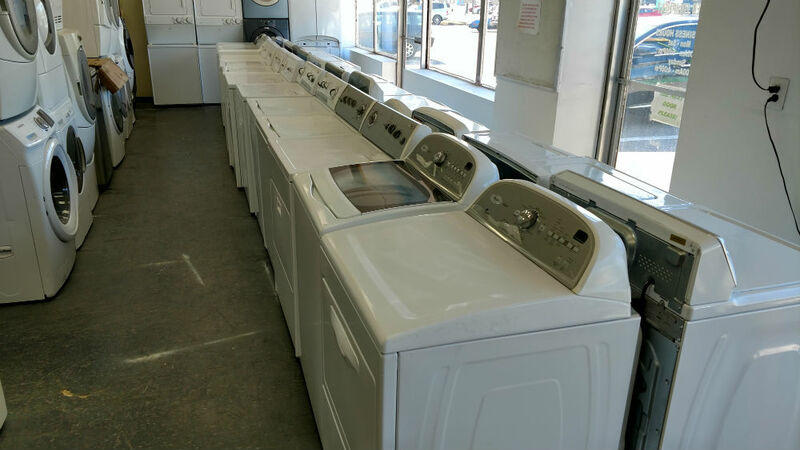 30-day warranty – Whether it is our washers and dryers or any of our other appliances, we have a 30-day warranty. Plus, after the 30 days, if you bring them back, we will repair them for no service cost. You will need to pay any parts. We don’t want to be going out and repairing washers and dryers we have delivered to you so we test them before they are delivered. As you may have seen, we also carry Microwaves, Dishwashers, Stoves, Ovens, Ranges and Refrigerators. To find out more, simply fill out the form on this page or you can call at 301-231-1923. Or you can just come to our store (Location). People come from all over, whether it is PG County, Washington DC or Annapolis, MD.